Photo: Dora Mejia (5th from right) celebrates the settlement of her lawsuit in a press conference at the San Francisco Women’s Building. Nearly three years have passed since Dora Mejia filed a lawsuit against the City of San Francisco that exposed the barriers many monolingual sexual assault victims experience when interacting with the SFPD, but advocates say the problems still remain. Mejia was arrested after her ex-partner sexually assaulted her in a Mission District apartment in 2014. He left the apartment, called the police, accused Mejia of attacking him. When officers arrived, they refused to offer her an interpreter, insisting that she use the best English she could. Police arrested Mejia and left her three children with the ex-partner as she sat in jail overnight. On Thursday, Mejia and the advocacy community announced her $50,000 lawsuit settlement at the Women’s Building. “What happened to me was outrageous, and because of that, I had to stand up and speak up to this injustice,” Mejia said. Despite her court victory, advocates say delays in language services — or, in some cases, an utter lack of those services — continue to result in wrongful arrests and inaccurate reports by the SFPD, even as the department attempts to refine its program. Advocates said that many problems remain, but that the situation has improved since SFPD began hosting a language access working group in 2012. 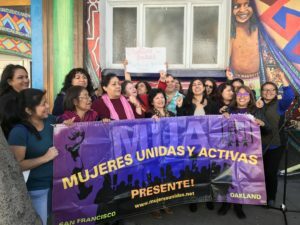 “Unfortunately, we continue to see this pattern where officers don’t go through process of identifying language and carrying out interviews, trying to rely on whatever limited English the individual might be able to produce, if any,” said Ana De Carolis, a program coordinator with Mujeres Unidas y Activas, a grassroots organization for Latin American women. De Carolis, speaking at a recent Police Commission meeting, described an incident in which a woman had been in a car accident. Afterward, an officer interviewed her at the hospital in English, even though she told him she could not speak English. “It turns out the report was written based on the interview that contains gross inaccuracies and misinformation,” De Carolis said. De Carolis could not comment further on the specific case, but she said those kinds of inaccuracies can result in victims being excluded from accessing services and victim compensation. In addition, their cases may be delayed in court. In the 2016-2017 fiscal year, 27 complaints related to language access were filed with the Department of Police Accountability. Six were sustained, 11 were not sustained, one was mediated, one “not found” and eight are still pending. But the number of those affected by the scarce language resources could be much higher. “Many of the survivors don’t want to come forward, because this is such a fearful time — not because of what’s going on in San Francisco, but the political realities are keeping communities afraid,” said Beverly Upton, executive director of the San Francisco Domestic Violence Consortium, during the meeting. Upton said stories like Mejia’s, and the one told by De Carolis, are “a drop in the bucket.” She offered an account of her own. Six months ago, she said, a deaf mother was arrested after she called police to the scene. They did not provide her assistance in American Sign Language when she requested it, and she was held for several days. Commander Lazar, head of SFPD’s Community Engagement Division, told the Police Commission that department is now offering interpretation classes and classes to “update” bilingual officers. Dispatchers are now instructed to contact bilingual officers directly if they receive a call in another language. Before, he said, those kinds of calls were sent out to everyone. Moreover, he said, Mission Station will be piloting a multilingual informational marquee. “So when citizens come to file a report, there’s information in several languages … while they’re waiting to file a report,” he said. But more than anything else, advocates say, the department needs more bilingual officers. The department currently has 303 bilingual officers on staff, 157 of whom speak Spanish, 97 who speak Cantonese, 20 who speak Mandarin, 18 who speak Tagalog and 11 who speak Russian. Yet that number is lower than the 326 that the department employed in 2015. That year, the police received 4,255 calls in a foreign language. In 2017, SFPD received 3,308 calls for service in other languages, down 22 percent from the 4,222 it received in 2016. “What we’re trying to see is more bilingual officers at district stations, where they reflect the communities they serve,” De Carolis said, noting that the advocacy community would like to see more bilingual officers stay at district stations to build a relationship with the community. 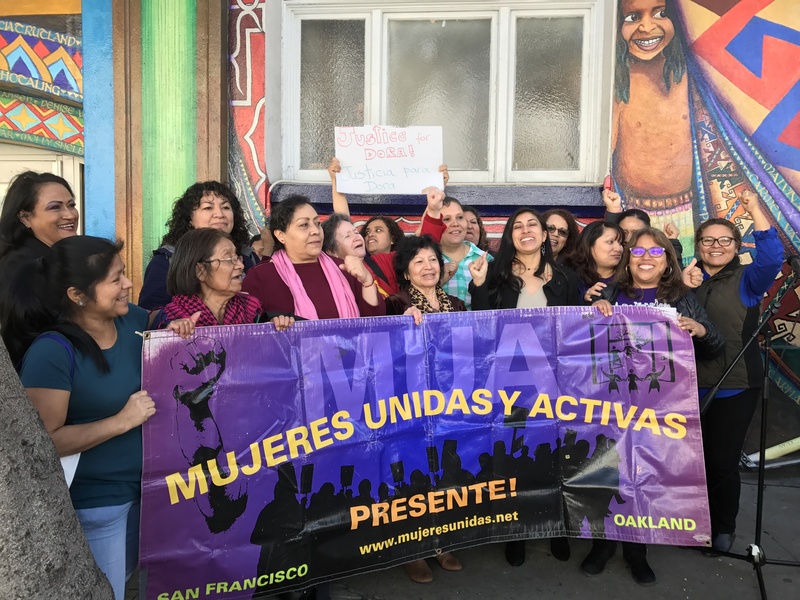 Maria Jimenez, a program coordinator at Mujeres Y Unidas Activas, has been accompanying victims of domestic violence and sexual assault to file reports at Mission Station for 18 years. In recent years, she said, the wait times have become longer, and officers at the station have become increasingly reliant on the so-called language line, a telephone line officers can call to receive interpretation services with limited-English residents. She said long wait times and the lack of personal connection can be traumatizing to victims. “If a woman is ready to take the step to file a report and is not able to, then many times the individual will go back to the abuser, the cycle of violence,” she said.